Territorians are being asked to help report any changes to Power and Water infrastructure. Power and Water’s electricity network spans more than 10 000 kilometres throughout the Northern Territory and is made up of overhead power lines, power poles, transmission towers, guide-wires, underground cables, substations (zone, distribution) transformers and boundary/pillar boxes. 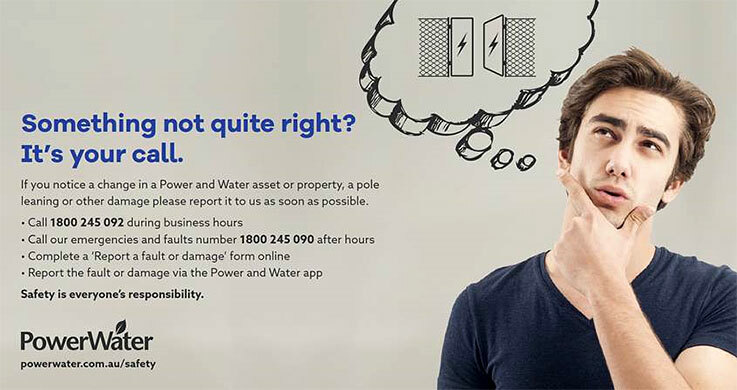 or using the Power and Water Report a Fault or Damage form online.